Apple CEO tells car industry "there will be massive change"
Apple CEO Tim Cook was on stage last night fielding questions at the Wall Street Journal's global technology conference, or WSJDLive for short. Cook took part in a wide ranging interview and discussion and touched upon many tech and business topics including the Apple Watch, Apple Music, iPhone innovation, Apple and the automobile industry, and more. To begin with the Apple CEO was quizzed about the Apple Watch. We just haven't had any numbers from the company to see how sales are going, to measure its success. Unfortunately Cook declined to offer any hard numbers but said that "We shipped a lot the first quarter…", and every quarter the shipments are growing, he added. The reasoning behind the secrecy was that Watch shipment numbers are "competitive information". Going forward Cook proposed that the Apple Watch would prosper with its health and fitness usage and in its use for payments. On the topic of the iPhone Cook disputed that Apple was in a two year innovation cycle, arguing that the iPhone 6s has as many innovations as the 6. The interviewers wanted to know if he could step up the innovation cycle but Cook didn't give a direct answer. 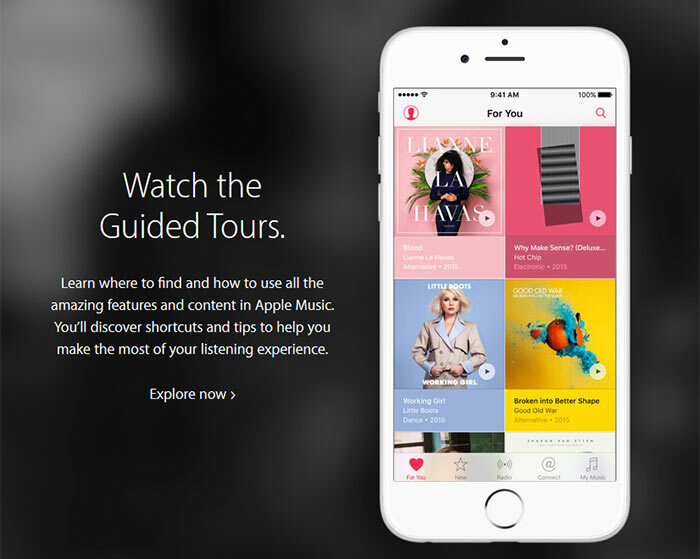 According to the Apple CEO, the recently launched Apple Music service has been a big success. The service has 15 million subscribers and 6.5 million of them have already paid to extend their subscriptions (after the free three month trial period has passed). 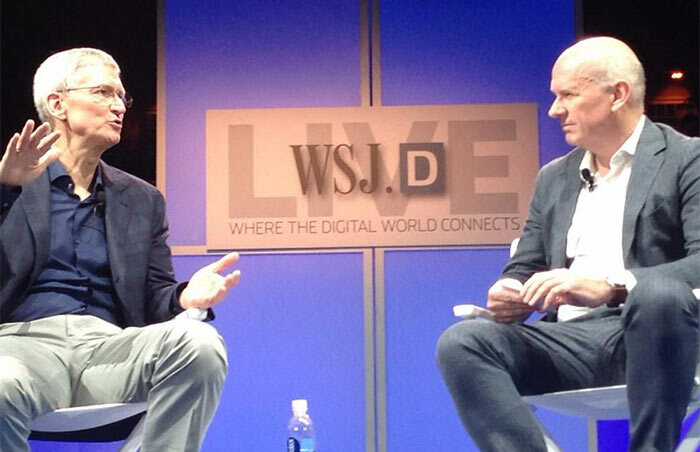 In explaining its success Cook told the WSJDLive audience that "people love the human curation" aspect of it. Moving onto another form of media, TV, Cook said that Apple TV could change the "terrible, broken" process of watching TV in the US. He likened the TV channel viewing experience to something from the pre-iPhone era. The latest edition of the Apple TV box is set to go on sale next week. The Apple CEO didn't really want to talk about cars, thinks the WSJ. So Cook diverted much of the chat towards Apple's CarPlay; an "iPhone experience on four wheels". Back on the topic of the automobile industry Cook admitted that Apple "look at a lot of things," but didn't want to confirm anything "We will see what we do in the future". However he did issue a warning of something big coming to the disrupt auto industry "I do think that industry is at an inflection point for massive change, not just evolutionary change". Perhaps as way of explanation for the above statement, Cook told the WSJ interviewer "When I look at the automobile, what I see is that software becomes an increasingly important part of the car of the future. You see that autonomous driving becomes much more important." 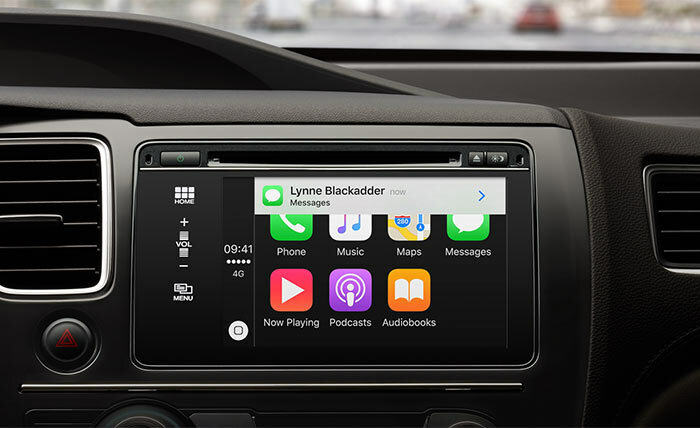 We have heard plenty of rumours about the Apple Car before, and since our last report Apple has hired Megan McClain, a former Volkswagen engineer with expertise in automated driving, and Vinay Palakkode, a graduate researcher at Carnegie Mellon University, a hub of automated driving research. This is purely perception, still waiting for rock hard information and details that makes me think “Wow that's the future” of Apples products. If they are going to make a car, they should be well into development by now. Perhaps they will just wait for Google to release self driving cars, and sue them on patents they quietly took out and make money that way. Had a nexus 7 installed in my dash with custom rom so I can use it as a juke box for over 3 years now.